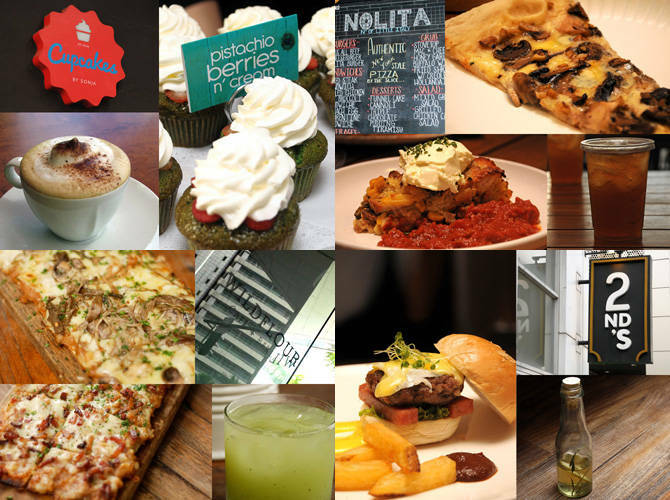 BGC Eats: Make It a Foodie Date This Weekend! First date jitters? Nothing beats a food tour to guarantee Date #2. To all the guys out there who are planning to ask their girl (read: us) on a date, we're crossing our fingers that you see this article and take a hint that we want to go on a food tour for a change. Enough with the dating cliches—take us to Bonifacio Global City's culinary adventure, BGC Eats, and we might even say yes to Date #2. 1. You have four Saturdays to ask us out, specifically June 29, July 6, July 13, and July 20. 2. All you have to do to get two (2) free tickets for us is to purchase P1,500 (single or accumulated recipts) worth of items from retail stores or restaurants at the following establishments: Bonifacio High Street, The Fort Entertainment Center, Crossroads, Bonifacio Stopover, One & Two Parkade, and the Mind Museum. 3. Claim the tickets at the Bonifacio High Street Central Concierge (inside C1 building) from 11am to 8pm daily starting June 24 to July 20, 2013. 5. The tour starts at exactly 3pm (it'll last for approximately two and a half hours), and we're supposed to meet everyone at the Hop On Hop Off Bus Stop located along 9th St. between Nike and Bo Concept. No bus fare needed—it's part of the food tour, so we even get a free ride! News has it that every tour will feature different food stops around BGC, with Pinoy Eats World co-founder and food connoisseur JJ Yulo as the tour guide. How awesome is that? Need a little more convincing? View the gallery to get a taste of what might be in store for us!